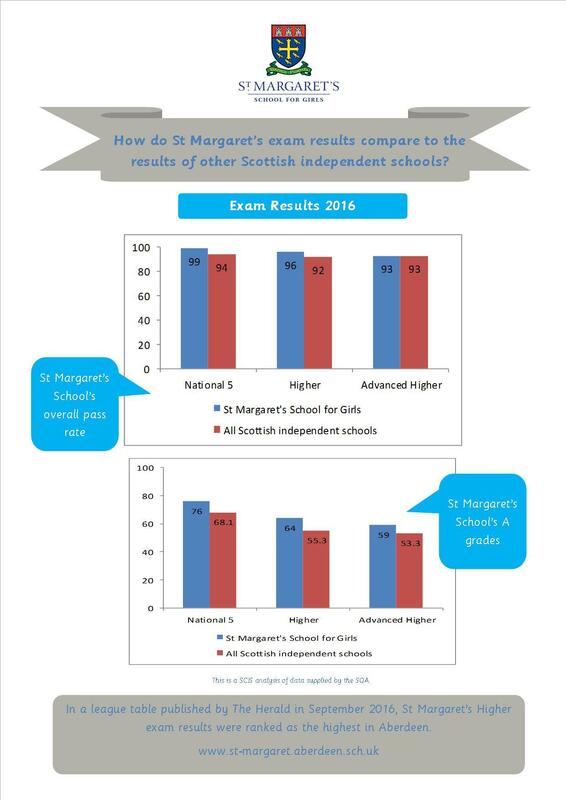 St. Margaret's School for Girls Aberdeen :: How do St Margaret's exam results compare to the results of other Scottish independent schools? How do St Margaret's exam results compare to the results of other Scottish independent schools? Following the release of data from the SQA, we are delighted to share with you the success of St Margaret's girls' examination results. The graphs above show how our results compare to other Scottish independent schools. To find out more about St Margaret’s senior school please visit the senior school page for more information. Alternatively, to speak to a member of the admission team about the admissions process please contact us.